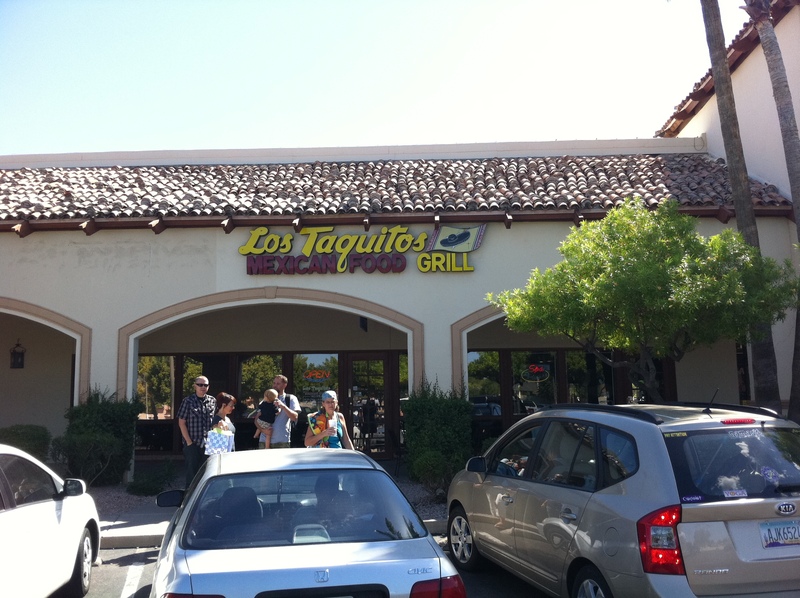 A view of Los Taquitos from the outside. Photo taken by me. Stop número tres of my Hidden Gems trek around the Valley brings me to a little place off of the 10 freeway in the South of Phoenix called Los Taquitos. 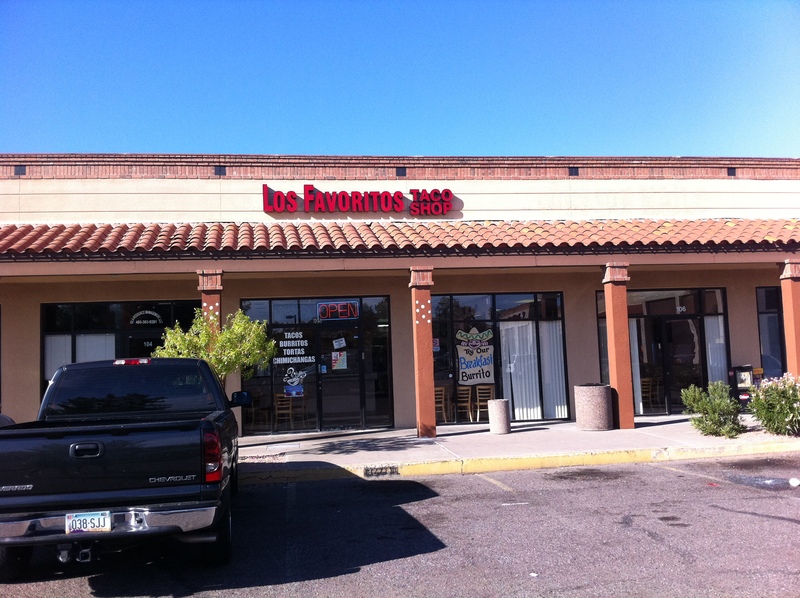 Located just off the 10 East at the corner of 48th street and Elliot Road at the edge of Phoenix and Ahwatukee, Los Taquitos was a place that I had thought was a secret until I found out that Guy Fieri had featured the place in an episode of his show Diners, Drive-Ins and Dives. * Video courtesy of the Food Network and uploader Eeldarb. I had initially found out about Los Taquitos through their positive reviews on yelp.com, but hey, if Guy Fieri and the freakin’ Food Network want to take the time to head down to Los Taquitos to see what they’re all about, then I might as well, too! 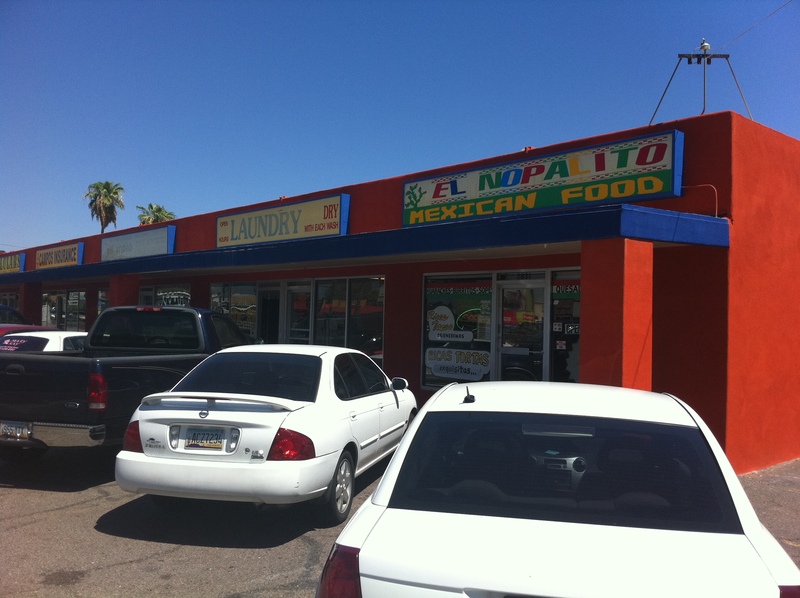 Round two of my Hidden Gems tour around the Valley takes me to the city of Phoenix and a little Mexican food joint called El Nopalito… and man am I glad I went here.